My goal was to hit 500,000 views on July 13, 2014, the one year anniversary of Apuron's threat to Fr. Paul to resign or "face a more arduous and painful closure to his assignment." (Here is that fateful document.) We hit 500,000 on July 12, 2014. Less than two years later we are over FIVE MILLION. An average of nearly 7000 Page Views per day from almost every country on the face of the earth. There's a reason, and it is not Anthony S. Apuron, as bad as he is. 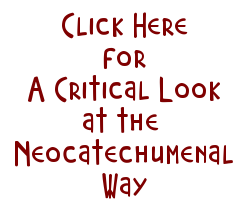 The reason is NCW: the Neocatechumenal Way, and more specifically, the number of poor souls the teachings of Kiko Arguello and Carmen Hernandez has harmed. Here's is the message that went out yesterday about the meeting with Archbishop Hon this afternoon at St. Anthony. INVITATION: His Excellency, Archbishop Savio Hon Tai-Fai, S.B.D., the newly appointed Apostolic Administrator of the Archdiocese of Agana, requests the honor of your presence at a MEETING for all Clergy, Religious and dedicated Lay Faithful on Thursday, June 9, 2016 at 4:00 PM at St. Anthony Church in Tamuning. Your presence will be greatly appreciated. Not sure how Msgr. Bibi translated this into a "prayer meeting." Hon is scheduled to lead a prayer meeting 4 p.m. Thursday at Saint Anthony and Saint Victor Church in Tamuning, church pastor Monsignor Brigido Arroyo said Wednesday. “It is open to everyone — priests, deacons, religious leaders, lay people. It is a prayer meeting,” Arroyo said. A prayer vigil also is scheduled for noon Thursday, at the old rectory of Agat Catholic church, where the alleged sexual abuses by Apuron happened in the 1970s. The 4:00 pm time was not chosen with the "dedicated lay faithful" in mind. Most of us will be working. Monsignor Bibi must not be trusted sorry to say. He has twisted truth contributed to damaging lives. Allowing him to organize a healing service is a disgrace. Sorry to say. Fr. Bibi should make up his mind if he is pro-Neo or not. With Archbishop Hon around, the time for fence straddling is over. This goes for all other clergy, too. Father Bibi, will be on the side of whom ever wins. Frankly he should be retired. So let me get this straight. This meeting is by invitation only or can any interested party attend? I'm also a little confused about the format of the invitation. It's from Patricia Tenorio, to Sr. Marian and I'm assuming it is with cc's to the individuals invited? Shouldn't it be the other way around? Just wondering. I'm at work till 8:30...catch it Hon is open to listening. Big error last time we were supposed to listen. Uh,oh. Error,error!! Thank-you for getting the word out. I hope and pray it has saved a few from the harm the NCW can inflict. Chuck's observation is accurate — most of the "dedicated Lay Faithful" will be unable to attend the meeting at St. Anthony St. Victor Church at 4PM today. I hope this is not an indication of the path Archbishop Hon plans to take to "promote and restore unity and harmony" by restricting the meeting time to be conducive to the Clergy and Religious. I pray that the Apostolic Administrator will allow the voices of the NON-NCW Clergy and Religious to be heard, unlike the time he was here as a Visitator. I also pray there will be other opportunities for "dedicated Lay Faithful" to meet with the Apostolic Administrator. I really am trying to be hopeful about Archbishop Hon's role in forging the future of our beloved Church — I just can't help remembering who his boss is and who his boss supports. Some of us signed leave just to attend. The hurt and the division is so deep that it will take more than a day, a month, or even years for the people to join hands again. Changes need to be made. Apuron needs to be removed. Adrian needs to go on sabbatical. Quitugua needs to seek profession therapy. Arrogant presbyters such as OJ need to be transferred to remote places to learn the true meaning of humility and honesty. 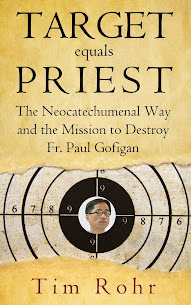 Gennarini needs to quit poking his nose in our affairs and selecting seminarians to be ordained deacons. Pius needs to retire. As Michael Jucutan once said in his homily, "We need to weed out the weeds. Even in the church there are weeds that need to be removed." The following week, Msgr. James was removed. To Michael Jucutan, yes, weeds need to be removed and it needs to start at the top. BTW Jucutan, why does OJ always walk around the Cathedral every Monday night then into the lanai and then into the rectory like he is the official bearer of good news? Must be to drink the wine that the Deacon Mrs. brings. Will assbishop anthony shithead asspuron be at St. Anthony's at 4 p.m. today, too? Mons Bibi, finish ip already. You are going to really blow it!! Okay...but what do you have to say about the truth unraveling??? Getting scared because you're realizing that your beloved NCW is not all you thought it was, huh? No Anon at 2.05, it is not about page views, it is about idiots like you roaming around and endangering the children. Cool it dude....your blood pressure is rising. Stop jumping around guessing what Tim's objective is. 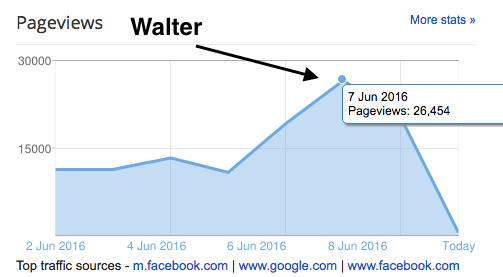 First you say Real estate commission and now you're saying page views. Recommend you concentrate on your family because they're all over the place confused like you. @2:05 PM Quit looking at yourself in the mirror, Your going to continue cussing at your self. I know that truth hurts, Its not too late yet to jump ship. The truth will set you free. Dump the NCW for the True Church..
My interpretation is "dedicated" lay faithful are those working for the church, i.e., "hired". Well I guess Archbishop Hon is witnessing the mess first hand. Where will all the NEOs go now, out they go?